Pokemon Go has been a phenomenon since its launch earlier this month. Its popularity caused Nintendo's market cap to nearly double and the game seems could send as much as $3 billion into Apple's coffers. Pokemon Go requires players to get out into the real world; that's the only way to catch Pokemon, get needed supplies at designated PokeSpots and train or battle in places known as Gyms. The location-based, augmented reality nature of the game is having a significant impact on its players, real world communities, and a range of venues. The game has already been credited with helping kids (and adults) be more active. Some people suffering from depression or anxiety have praised the game for helping to alleviate their symptoms. Others are discovering new parts of their cities or towns. And that raises an important question: can businesses, particularly small businesses, leverage Pokemon Go to attract, engage and retain new customers? Anecdotal evidence strongly suggests the answer is yes. Pokemon Go can reach new customers and drive increased business. Restaurants, bars, coffe shops, and retailers across the world have reported increased traffic, sales and revenue as a result of the game. Some have even capitalized on the game to create new revenue opportunities. In many ways, the opportunities for business resemble those presented by FourSquare in its pre-Swarm days. When FourSquare launched, it offered a bit of gamification by allowing users to habitually check in and be designated the "mayor" of a location. Many businesses used that feature -- along with potential discounts or other incentives -- to encourage check-ins by customers. That offered the potential for both repeat business and increased exposure within the app itself as well as other social networks. Pokemon Go's opportunities for engagement are actually much broader and can deliver even better returns -- if you know how to take advantage of them. 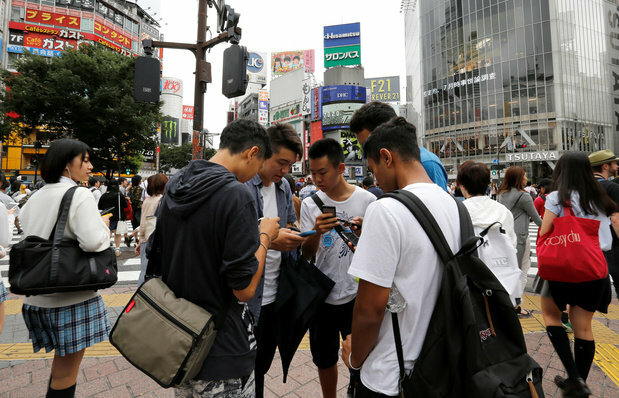 High school students play Pokemon Go on their mobile phones in front of a busy crossing in Shibuya district in Tokyo, Japan. If you're considering how to capitalize on Pokemon Go, I'd strongly suggest playing it. That way you'll understand the game, its concepts, and the community of players in your area. At the very least, check out the many tutorials available online. The most important thing to understand are PokeSpots and Gyms, both of which are real-world locations that have been designated as special venues in the game. PokeSpots are locations -- think of monuments, art installations, historical markers, or outright businesses -- where players go to collect needed supplies. 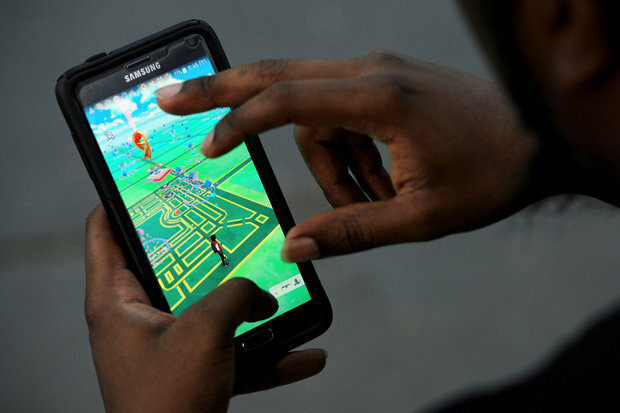 Players can repeatedly visit PokeStops, though there is a 10-minute waiting period before a player can receive more items at that same location. PokeSpots can also have special items called Lure Modules (or just Lures) attached to them. These are items that can only be acquired through in-app purchases. When attached, Pokemon will be drawn to the location and nearby users can see and capture them. Lures cost 100 of the game's PokeCions and last for half an hour. (FYI99 cents nets you 100 PokeCoins or one Lure while $9.99 buys you 1200 PokeCoins or six hours of Lures.) When one is placed on a PokeSpot, users will see it on the game's map. Lures at a PokeSpot are bound to attract players and if the Lures are placed on it regularly, players will learn to routinely revisit (generating repeat traffic). If the PokeSpot is associated with or located near a business, regular use of Lures will also send a message of support or encouragement to the local Pokemon Go community. One challenge so far: there is no way to request a PokeSpot be placed in a particular place. The chosen locations seem somewhat arbitrary and come from data in Niantic's previous AR game Ingress. As a result, having a PokeSpot near your shop or business is more luck than anything else. Not surprisingly, Niantic has said it's looking into offering sponsored locations in the game (the first is a partnership with McDonalds in Japan). Even if your business isn't designated a PokeStop, you may benefit by placing Lures at a nearby PokeStop -- ideally one within a short walk. Since PokeSpots with Lures identify the person that placed the Lure, using your business' name as your username or avatar in the game can actually alert other players to the fact that your business is making an effort to help them progress. Gyms represent the other important real-world venue in Pokemon Go. They serve as places where players battle each other using their Pokemon or train their creatures. Gyms are controlled by one of the three teams -- yellow (Instinct), blue (Mystic) or red (Valor) -- that players join when they get to Level 5. Players can battle for prestige or take over a gym that belongs to an opposing team, and they can defend and train Pokemon at a gym controlled by their team. Gyms can change hands if the team defending a given Gym is defeated. The choice of a team has little impact on gameplay as players receive no direct attributes for joining a particular team. That said, the teams foster a sense of community and add another layer of competition. The fact that Gyms can change hands makes them key locations in Pokemon Go, ones that players are likely to frequent. Like PokeStops, Gyms are assigned to real-world venues by the game and there is no clear process for suggesting or sponsoring a location. That said, the first sponsored locations deal between Niantic and McDonalds designates all of the McDonalds locations in Japan as Gyms. 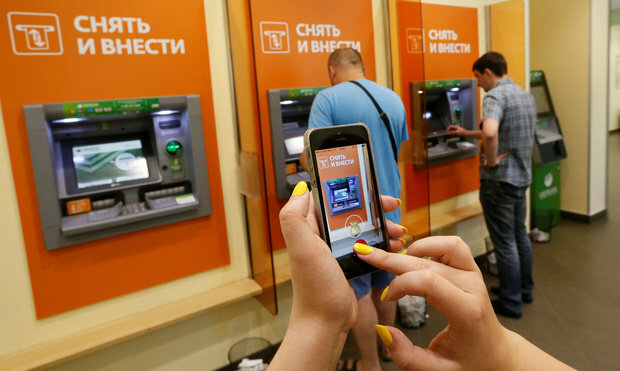 A woman in Krasnoyarsk, Russia plays Pokemon Go as men use ATMs at a branch of Sberbank. A number of businesses have benefited from being designated as Gyms. This seems to be particularly true for bars, restaurants and similar venues as the designation encourages players to spend more time (and money) during each visit as they battle and/or train. At PokeStops, by contrast, users tend to visit and collect items before moving on. There are three general ways businesses can interact with the Pokemon Go community. The first is to engage with the community directly. The second is to largely ignore the game. If your business is lucky enough to be designated as, or located near, a PokeStop or Gym, you'll likely still see an uptick in traffic or sales. The third is to actively discourage players. Some businesses are already complaining about foot traffic that doesn't translate into dollars, going so far as to ban the game or only allow players on the premises if they busy something. I'm focused on how to get players to frequent your establishment, but it's worth looking at the implications of option No. 3. There is a valid argument that having a large number of Pokemon Go players, particularly those that don't buy anything, can be detrimental to a business. That's particularly true for a retail store where players may crowd out non-playing patrons. The challenge is that Pokemon Go players come from virtually every age group and demographic. Dont simply assume that they are tweens or teens with no interest in your business. And you can't assume that because someone isn't staring at a phone they aren't playing the game. Logically, placing an outright ban on the game is likely to have negative repercussions. Even non-players may see a ban as a sign of intolerance. Therefore, your move carefully. You can also decide to allow only customers to play at your location. (For restaurants, bars or coffee shops this might even be sensible.) The challenge, particularly for retail, is that it can be hard to identify if someone is playing the game or doing something else on their phone. It's also problematic because someone might have been brought to your location by the game, stayed to browse, and may or may not buy something. Taking a hard line against that behavior may dissuade a customer from coming back. As with other customers, one of the easiest ways to attract Pokemon Go players is to offer them discounts or incentives. Many businesses have already jumped on this idea by offering a percentage discounts, coupons, free gifts, or other special offers to Pokemon Go players. A virtual map of Bryant Park in New York City is displayed on the screen as a man plays Pokemon Go. Savvy businesses aren't simply giving anyone playing the game something special. Many tie these incentives to aspects of the game itself. The result is that players feel like a business supports them, understands the game and may well be playing it, too. That not only attracts players as customers but fosters a sense of community, which can be a potent tool for many businesses. Focus on a specific team. If a particular team is popular in your area (or if you've joined one yourself), consider giving discounts or incentives to players of that team (while also offering something more general to other players). If you're lucky enough to be designated as a Gym, you could offer something special to the player(s) that manage to wrest control of the Gym from another team. Reward players for progress. Some businesses are tying incentives to the progress players make, largely by tying them to specific levels or, less frequently, to capturing a rare Pokemon. This definitely shows you (and/or your staff) are interested in the game and its players, but it does run the risk of alienating new players or those that aren't making quick progress. Another option: reward players if they level up while in your establishment, something that would work well in bars or coffee shops where more time tends to translate into more spending. Engage on social media. One big option is to tie an incentive to social media. Since Pokemon Go allows users to take a picture of themselves with Pokemon, some businesses offer a discount if users do so and check-in on Facebook, Twitter, or other social media. (Businesses will want to share these in your own social media streams.) This engages players as customers and spreads awareness of your business. One major complaint about Pokemon Go is its impact on smartphone battery life. The game relies on most of the technology in a smartphone to operate -- GPS and location services, camera, accelerometer, Wi-Fi or cellular connectivity, sound/vibration, etc. -- and it must be open during play. Although Niantic introduced a battery-saving mode in a recent update, the game still drains batteries like nothing else. Some electronics retailers have even reported selling out of external batteries since the game's launch. Offering players a place to recharge while they're out hunting Pokemon is a great way to build business. Here, it might be reasonable to require a small purchase for the right to charge or to set time limits. Retail outlets could offer to have staff charge devices while a player browses, though this could raise some liability issues. In addition to offering device recharging, free Wi-Fi can encourage Pokemon Go players (and other customers) to hang out. Although the game is reportedly not heavy on data use, it does require data, which is why T-Mobile has decided to offer players the option to have Pokemon Go usages not count against their data plans (ala the company's Binge On offerings). While the above options are general tactics that any business could use, some may offer their own unique opportunities. Animal shelters, for example, have begun allowing people who are self-conscious about playing Pokemon Go in public a chance to take shelter dogs for a walk while playing. Some college students are picking up extra cash by playing for their peers stuck with class. (This is particularly useful for those trying to hatch PokeEggs, a process that requires one to walk at least 10km -- and more for some types of eggs.) A drink subscription service in New York recently led customers on a Pokemon Go pub crawl. And one young entrepreneur who made her lemonade stand a PokeStop has been making a decent profit. These examples aren't appropriate for all businesses. But it is worth thinking about things unique to your business that could be tied into the game. Although incentives are a great place to start, one of the hallmarks of Pokemon Go is its community; you can capitalize on that as well. Why not offer suggestions of other local venues that are PokeStops or Gyms, directing people to places where different types of Pokemon can be found? Or maybe you can offer tips and advice about the game that illustrates how you're part of that community and not just someone looking to profit. The greater the personal engagement -- including asking players about their experiences, what Pokemon they've captured, or about their team -- the greater the sense of community. In short, the more your business is connected to the game and its players, the more likely you are to profit from Pokemon Go.